It feels weird to have an update overhauling oceans and seas, inviting the player to actually explore them,but not doing anything about the boats. I dont really like how Drowned can easily destroy them with tridents. What if there was a reinforced boat that was harder for mobs to destroy, having more health than the regular one, but maintaining the same speed? Maybe this boat could also protect the player better, i dont know. And maybe even a Boat with Chest, for better overseas transport? Also, there should be an option to put banners on your boat, so you could put a flag of your faction or a pirate flag. We already have two-passenger boats, so your two-player scenario can already happen. I forget if it's a universal feature or only for Bedrock (or Java), but you can already put banners on boats. I really want chests in boats, but currently the only way to do that is with a donkey, mule, or llama. 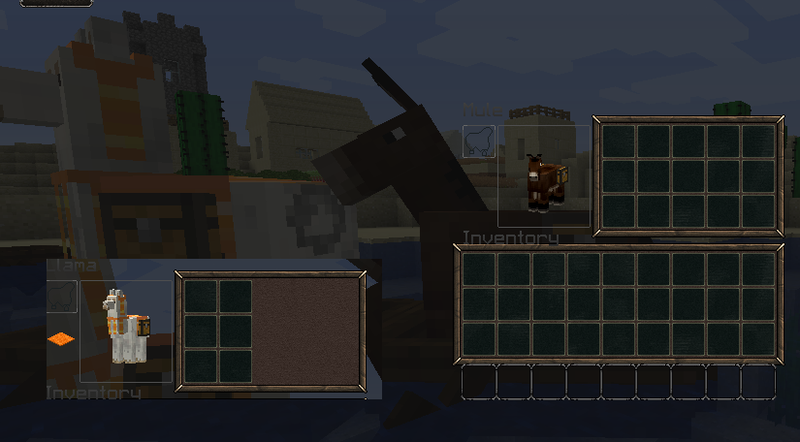 Non-mob entities (like chests) cannot be placed into a boat yet, so either this is currently flat-out impossible or only available via commands. I support the reinforced part only. A thin iron boat with slower speed but more resistance to being hit and requiring a pickaxe to grab quickly rather than ax axe. I'd rather just make the regular boats trident proof. Donkeys and mules (either of which gets an automatic full 27 slot half chest) make better sense for this transport option. For getting criiters into a boat, a small (3x3 up to 5x5) area with high walls/fences in which the critter and a boat can be placed before flooding the area (water bucket by hand or dispenser) seems to work well. [Not infallible, but removing and replacing the water is simple and works quickly.] Side-by-side two-high fence gates then allow one to exit the loading bay. One point that is unclear is if the chest-boats would carry a half chest instead of or in addition to the normal 1 additional mob capacity.